Love, Mrs. Mommy: 3 Winners! 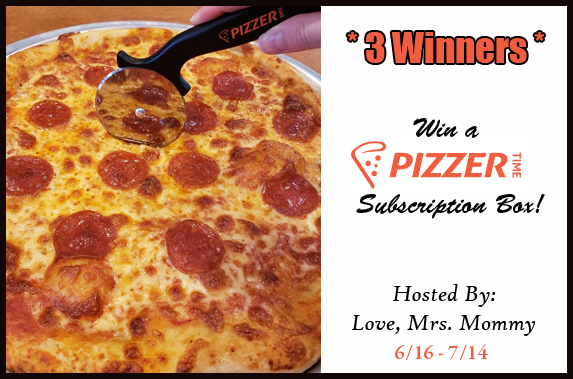 Pizzer Time Subscription Box Giveaway! $165 TRV! 3 Winners! 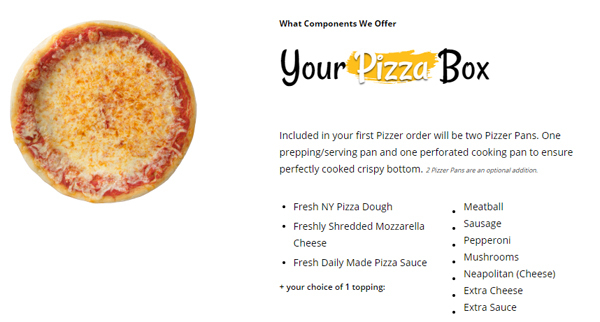 Pizzer Time Subscription Box Giveaway! $165 TRV! Enter for your chance to win this delicious giveaway! Be sure to read the eligibility requirements at the bottom of the page (in red). Best of luck! a Pizzer Time Subscription Box with Extras!! Whether you enjoy cooking in your home or love the taste of a hot fresh pizza right out of the oven or you want both, Pizzer offers, not “New York style pizza” but real and authentic New York Pizza with ingredients that were created and made right here in New York by New Yorkers with absolutely top quality products. We use the best tomatoes for our sauce and the best cheese money can buy and our dough recipe goes back decades. We hope you will take the opportunity to enjoy making your own pizza at home and more importantly enjoy having a hot fresh pizza right of your own oven. Buon Appetito!! Please Note: Sorry for the inconvenience, but the giveaway form will only give me the option to exclude a handful of states in the giveaway. Please make sure that you are not entering this giveaway from any other state other than the ones mentioned above. If you enter the giveaway anyway, and are chosen as a winner, you will not be able to collect your prize. What a great giveaway pizza is a fav. in my house.